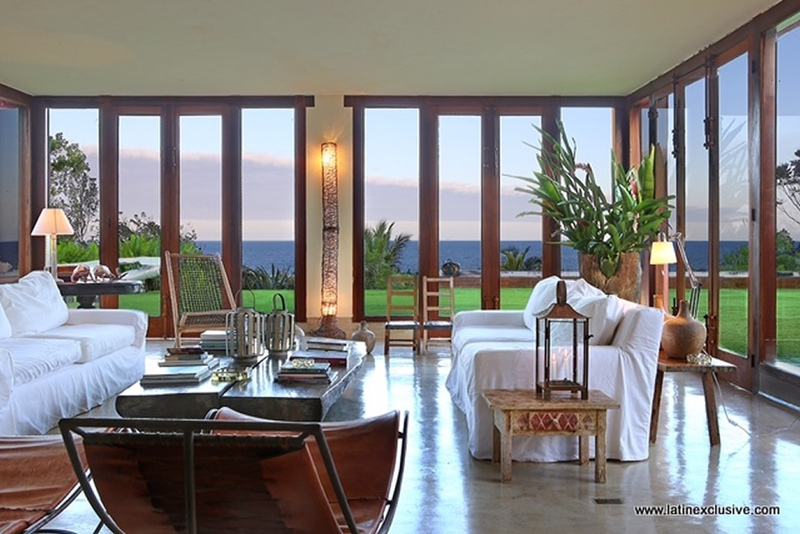 Bah014 Breathtaking ocean view villa. 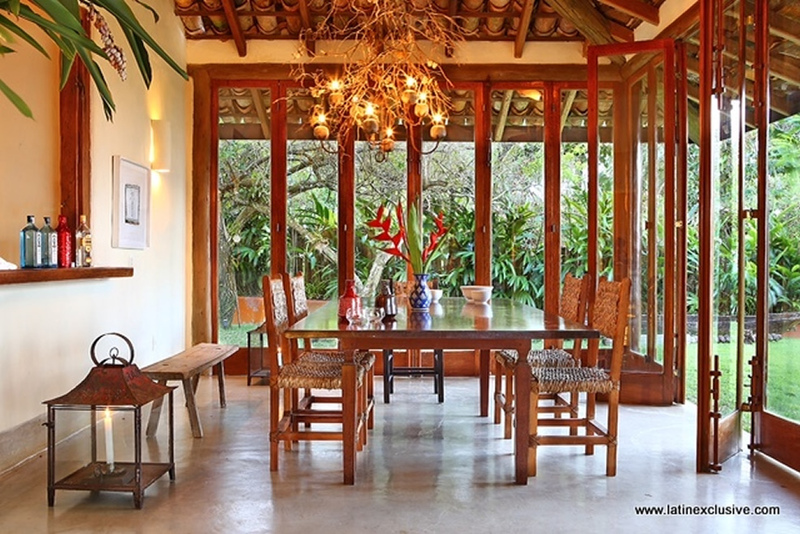 Vacation beach villa with 4 large suites, that can host up to 09 guests. Amazing view on the peaceful green and blue horizon. 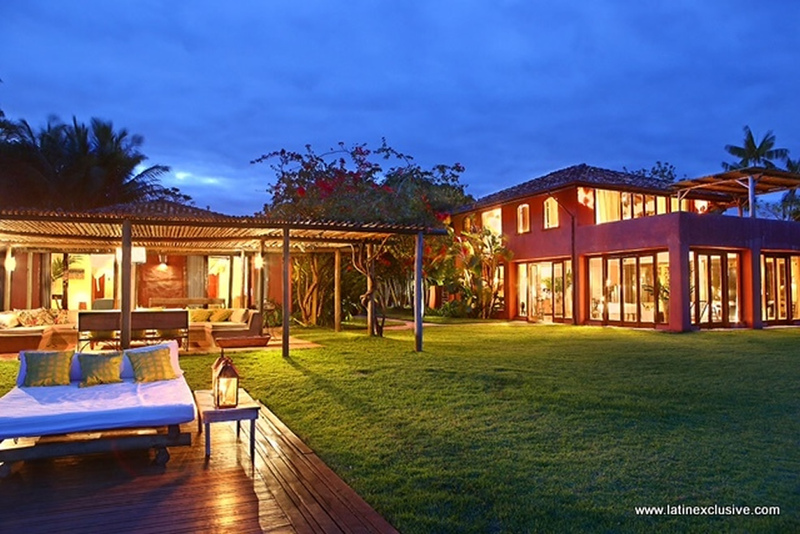 Large garden, pergolas, long and delicious pool.Private beach lounge. 3 staffs of the house are available for cooking, cleaning, pool and beach set up. 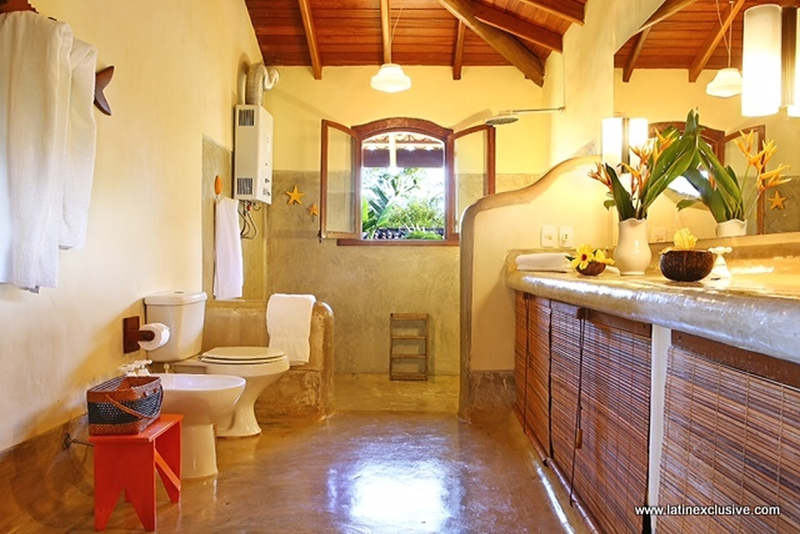 Rent this luxurious and very comfortable vacation villa with 4 large suites, that can host up to 09 guests. This secret property is on the Alto do Segredo (The secret hill), only 500mt from the beach and 2km of the world famous Quadrado. 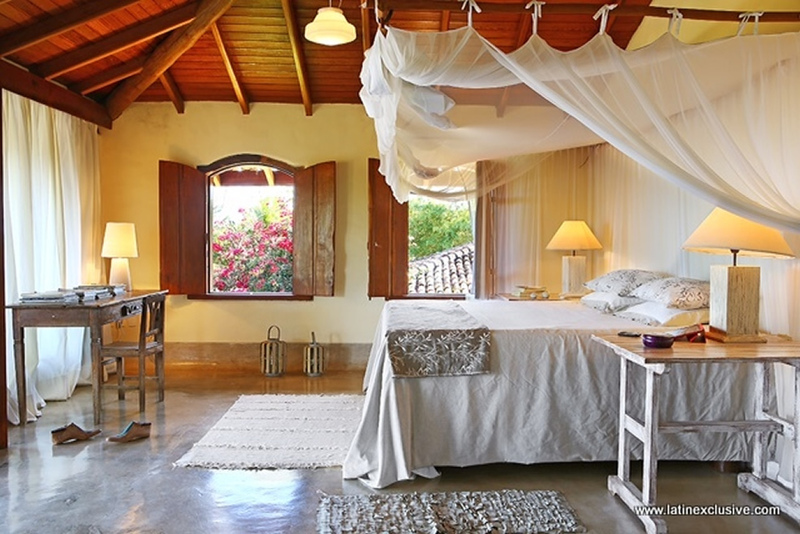 The master suite is taking the whole upper floor of the villa, with an outside relaxation area from where you can enjoy the peaceful green and blue horizon. 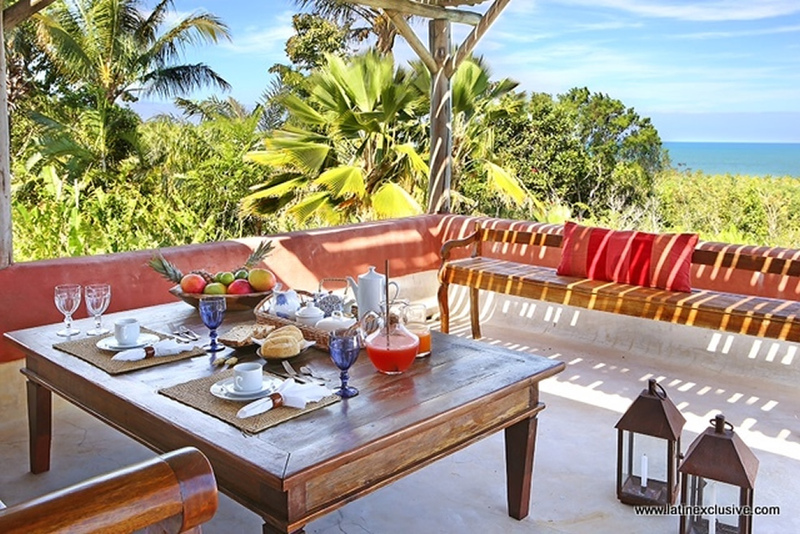 2 large suite are situated on the leafy gardens, few steps away the main house, facing the long pool, with a few of hundreds of meters of tropical forest and the sea behind. 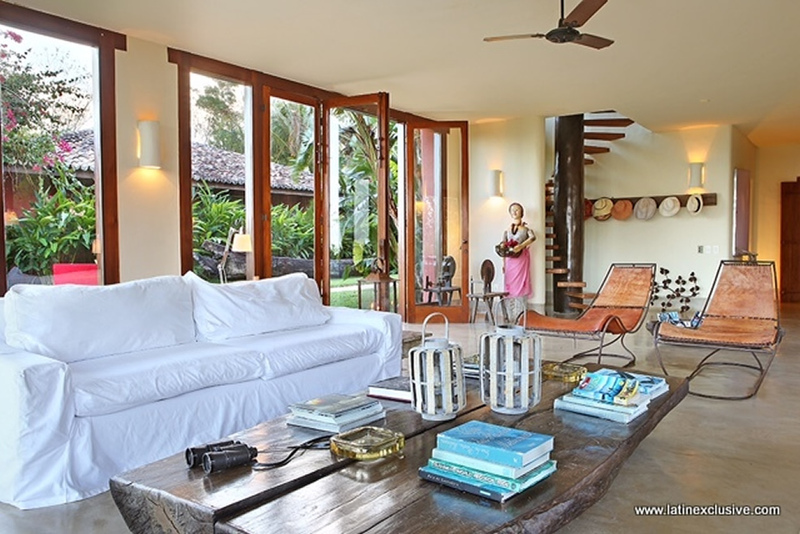 The large glass living room offers a stylish and authentic decoration, mixed of antiques and local art. Tiles of the house are coming from the old Trancoso church in the Quadrado. Great for those who value their privacy the 5.000 square garden is surrounded by exotic palm and fruit trees. There is plenty of relaxation space outside to in, including a large outside dining area that could comfortably all the guest, areas to sit or recline and relax by the long pool and large deck. The fully equipped kitchen has an antique feel but contains all the mod cons. 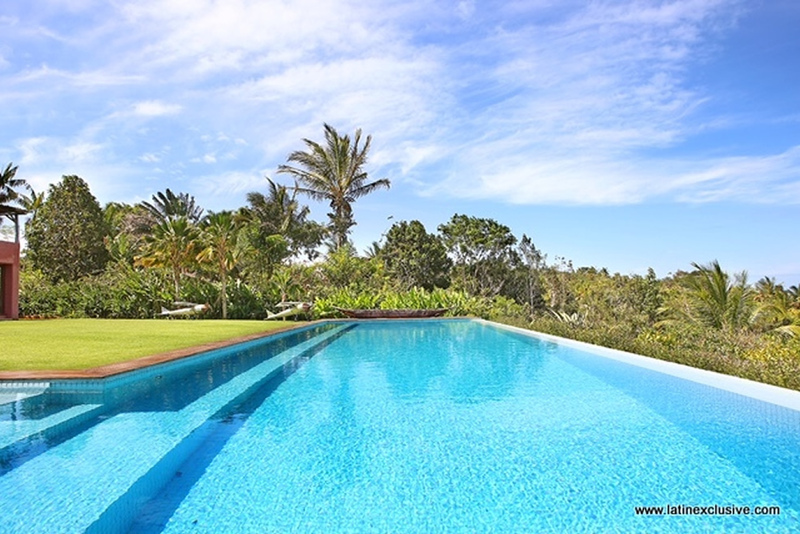 Attentive staff member will be there 8h/day, to cook, breakfast lunch and prepare drinks and fingers food, as well as room maid and a gardener in charge of setting up the pool and beach lounge, just down the hill. 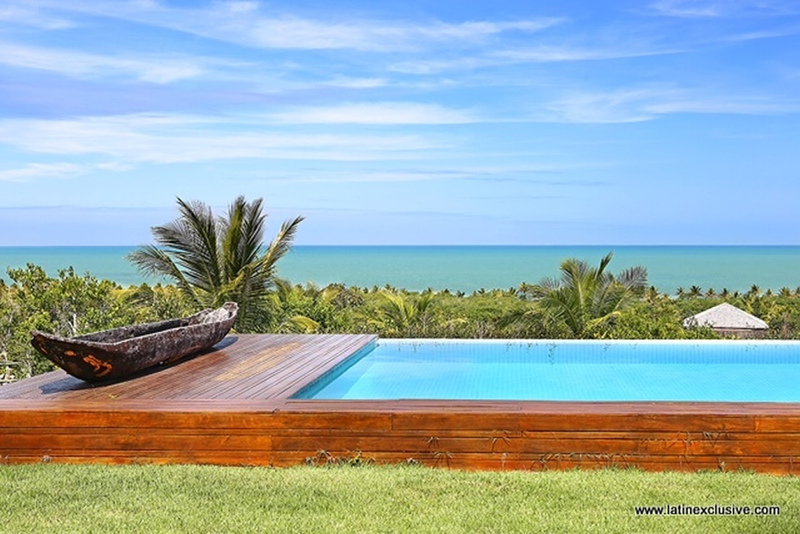 This unique property will take your breath away and will make you want to come back to Trancoso as often as possible.